Webcasting Epnet » Retail Marketing Live on Facebook Live Streaming. 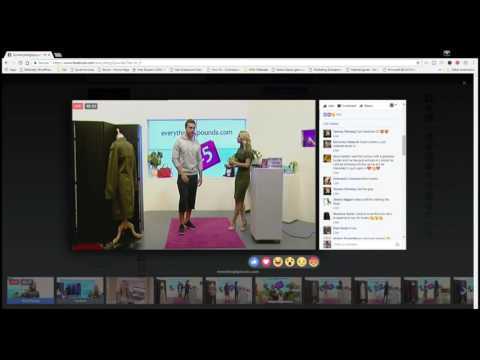 Example of a Retailer in the UK selling clothing and shoes live from Facebook with a 90 minutes show. Can retailers in South Africa afford to ignore this trend? Develop your own markets live from Facebook. How many Fans do you have? How many sales do you think that you could drive to your stores as well as Facebook with a regular show on what you offer? Let’s face it if you have decided to use Facebook for some strategic reason then you can add a massive sales advantage by using it with Live Video. This simple but effective new marketing platform can be driven by sending messages to your Facebook Fans prior to the event and a reminder one hour before the event goes live. Offer your products and cross reference them by showing the detail that you have for sale on the website. Offer competitions and sales motivations such as attracting more LIKES to your page. Contact Gordon for Live Streaming Broadcasting on Facebook on 011 807 4034 to discuss. Only a very few retailers have started this retail clothing and shoe concept in the world. Get started on this before you get lost in the race with currently 13 million Facebook users ready to see your video.